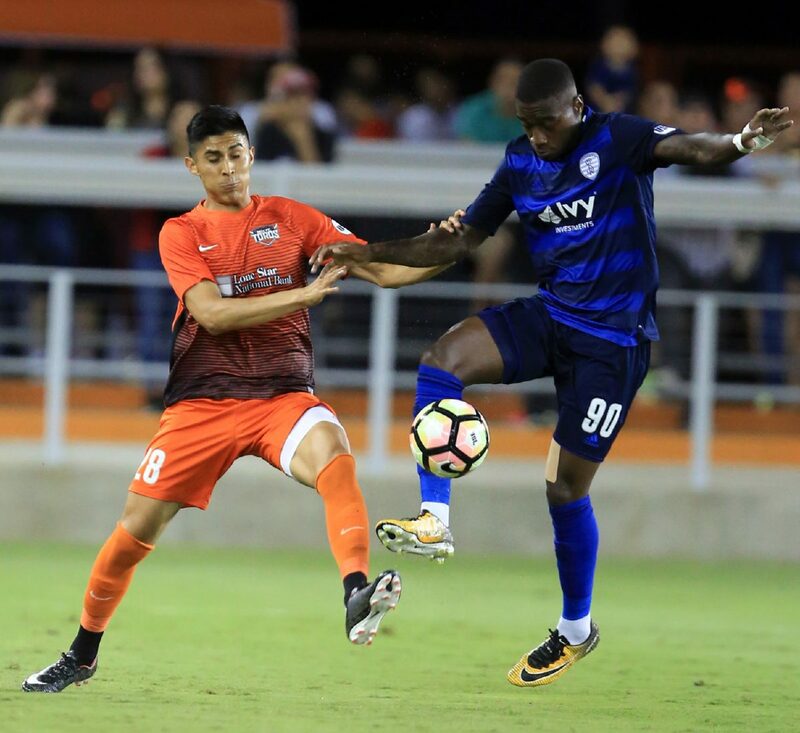 EDINBURG — It’s been a grueling wait for Omar Ontiveros to play his first game for the RGV FC Toros. A nagging heel injury kept him sidelined for months, but his health came around just in time to draw a start in the Toros final home game of 2017. The Pharr native was fit and ready for game action Saturday night. 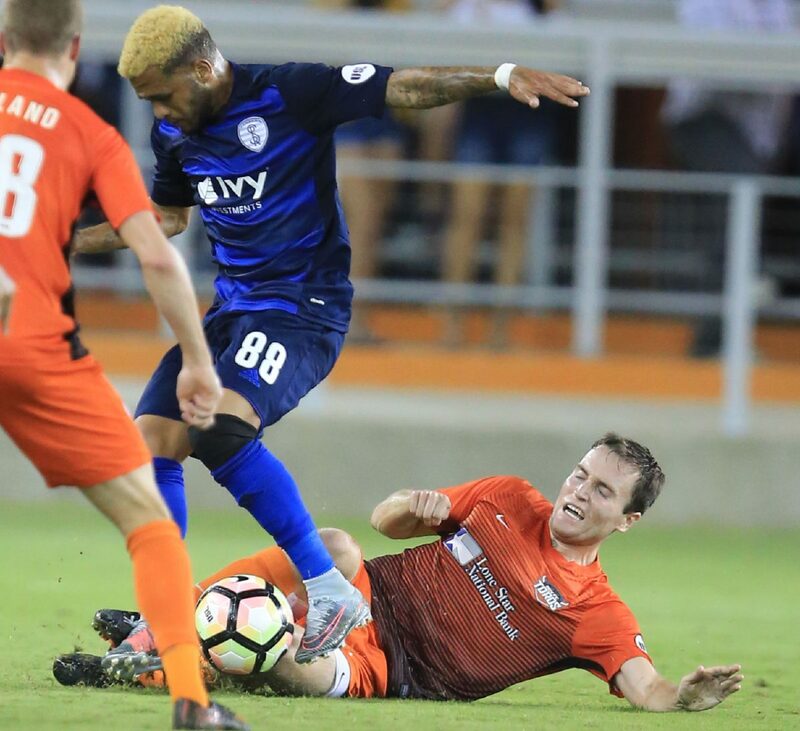 The defender started and played for 70 minutes, adding an assist in the Toros’ 2-2 draw against Swope Park Rangers. Ontiveros was noticeable on the pitch early. He handled multiple touches in the opening 10 minutes and dished clean passes. His solid start was key for the 22-year old to shake the nerves of playing in front of family plus the home crowd. Early success turned into a strong overall outing, highlighted by a great setup in the 64th minute. Ontiveros made a run into Swope Park’s half and then found the chest of Kyle Murphy, who controlled the ball and made no mistake to beat Rangers keeper Adrian Zendejas. Murphy praised the ball and the feel-good moment for the local athlete. Ontiveros had his parents and siblings in the crowd and was happy to perform for his first fans. Murphy’s goal was the Toros’ second of the night after Joseph Holland opened the scoring in just the 7th minute. The game was going well for RGV FC for 75 minutes, but the turning point was an unfortunate play in the box. A defensive mishap resulted in an own goal off the foot of Kevin Garcia, who was sliding to try to keep the ball out of the net. The straw that broke the camel’s back was in the 91st minute. Borja Angoitia made an initial save on Swope Park’s Kharlton Belmar, but the forward followed his own rebound and tapped home the equalizer. It wasn’t the first instance of RGV having the outcome of a match turn on its head in the late stages. On August 30, the Toros gave up a goal and scored a goal in stoppage time of a draw against Portland. On August 12, RGV scored in stoppage to earn a draw against Phoenix. 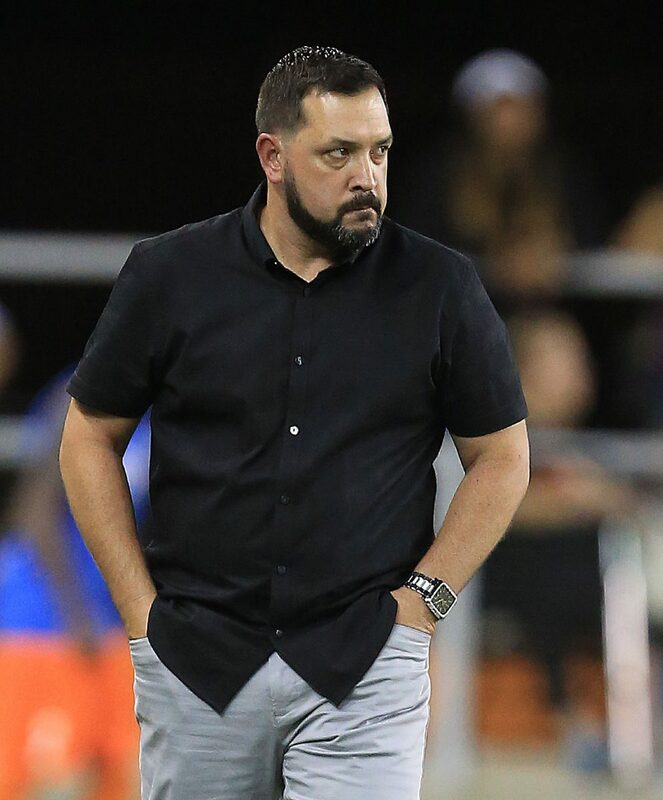 And on Sept. 9, RGV FC conceded an extra-time goal to lose 2-1 against Sacramento. The Toros would have had an uphill battle even if they won Saturday, but now they’ll need to jump from 11th to eighth in the Western Conference in just two games, which will take two wins plus a lot of help from the teams in the way.